At the Law Office of Donald H. London in North Yonkers, New York, clients find an attorney who actually returns phone calls. Whether helping a prestigious company obtain work visas for its employees or assisting an individual to file for Chapter 7 bankruptcy, Mr. London offers personalized service, attention and dedication to results. Clients meet with him, not with a paralegal or assistant, and his client-oriented philosophy has garnered him numerous referrals. Within consumer bankruptcy, Mr. London assists individuals overwhelmed by excessive credit card debt, medical bills and other dischargeable debts. His law firm has handled more than 850 Chapter 7 bankruptcy cases, plus many Chapter 13 bankruptcy cases. Mr. London is a member of the American Immigration Lawyers Association, co-chair of the Westchester County Immigration Committee, the Yonkers Lawyers' Association, National Association of Consumer Bankruptcy Attorneys and the Westchester Bar Association. He is also a frequent lecturer throughout Westchester County and New York City. 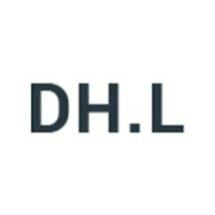 To schedule a free initial phone consultation, call the Law Office of Donald H. London at 914-965-7230. The law firm is conveniently located in North Yonkers, near the hospital and directly across from the bus stop. Evening and weekend appointments are available by request.